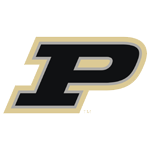 When he played at Purdue, he was off-limits to the media virtually all of the time. He was shy and introspective, and wanted to be left alone, and his coach, Lee Rose, accommodated him. But times and people change, and now he’s an engaging man with a story to tell and a desire to tell it. 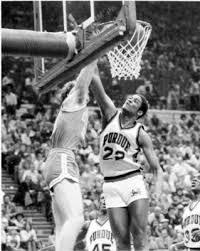 Carroll represents one of the luckiest breaks in Purdue’s athletic history. He played high school basketball in Denver, but wound up in West Lafayette via a fateful confluence of circumstances, as he explains. He went on to become a first-team All-American on the 1980 team that reached the Final Four, and the first pick in the NBA draft. He’s got a rap as a bust as an NBA player, an unfair evaluation when viewed objectively. He averaged 17.7 points over his career, and 20.4 in seven seasons with Golden State, including a 24.1-point average in 1983 when he was an All-Star. He was stuck on bad teams most of his career and his intellect and low-key demeanor contributed to the impression that he didn’t care much about basketball – thus, the moniker Joe Barely Cares. That’s the price you pay sometimes for being more than a jock. He’s a wealth adviser, a philanthropist, an author, an artist and worth listening to. Twice, actually, because he filled a double episode in this telephone conversation. Trust me, this is the most anyone’s heard Joe Barry Carroll talk in one sitting.